Already an experienced professional discipline practitioner, Shruti is now building her expertise in the area of sports law. Having recently completed a secondment with the British Horseracing Authority, she has appeared at numerous inquiries and disciplinary hearings and dealt with a range of issues, including animal doping, fraudulent lay betting and jockey doping. Shruti has a keen understanding of the Rules of Racing and penalties imposed by the disciplinary tribunals. 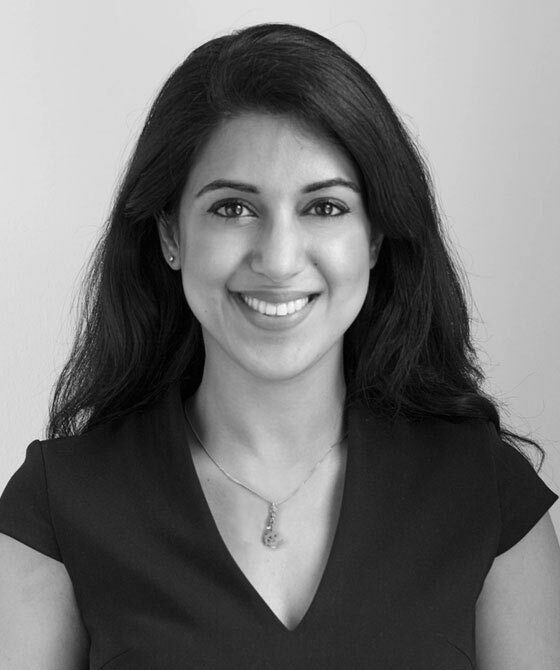 Shruti’s familiarity with regulatory tribunals, makes her particular adept at representing individuals facing disciplinary issues arising from sport. Shruti represented the interests of the BHA in a case where a horse had been raced during the stand-down period following its vaccination. The panel disqualified the horse from the race and imposed a £1000 financial penalty. Shruti investigated a complex case, involving a allegations of a horse flapping in Ireland and subsequently racing under the Rules of Racing under a new identity. Shruti acted for the BHA in case involving the use of a mobile phone by a jockey during the restricted period. A financial penalty of £750 was imposed. Shruti represented the interests of the BHA in a case where a horse tested positive for a prohibited substance, following post-race testing. The horse was disqualified and a financial penalty of £750 was imposed. 2009 - 2010 Bar Vocational Course, BPP Law, "Very Competent"
Shruti Sharma is qualified to accept instructions directly from members of the public and professional clients under the Direct Public Access scheme.